CASEXE Company will attend the EiG Conference 2017 in Berlin from October 30 to November 1. From October 30 to November 1, the European iGaming Congress & Expo (EiG) 2017 comes to Berlin and CASEXE will be there. 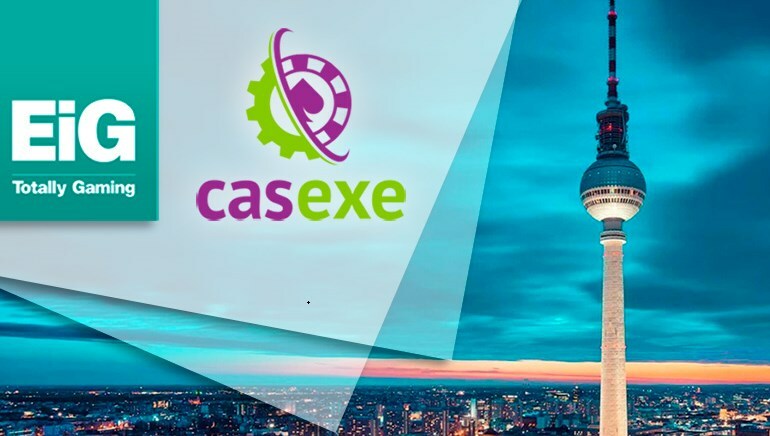 The company has announced its participation at the event and those interested to meet representatives of CASEXE privately can apply for appointments on their website. In order to be among those who will talk to their experts directly one has to fill up a template with the required data. Those whose applications are accepted will be contacted by a CASEXE manager to discuss the details and confirm a meeting. The 2017 EiG Conference will bring under the same roof all the important players in the iGaming industry. Casino, sport betting and lottery operators as well as investors and regulators will attend the event and share their insights. Participants will also learn more about the latest trends in the industry from high-ranking officials and consultants. From regional experts, participants will find out how the industry is changing locally and how to tackle some of the new challenges. Fringe technologies and their implications in the iGaming industry such as the impact of artificial intelligence will also be discussed.